The high school Summer Design program is an opportunity for rising 9th-12th grade students to learn from Loyola Design professors and try their hand at typography, 3D printing, digital illustration, game design, and motion graphics. The one week program culminates in a final art show for friends and family. Students choose either a Graphic Design Path or an Interactive Design Path. Each session is one week. Students who come for two weeks can participate in both paths. Or Pick Both. Each concentration is a one week intensive course. 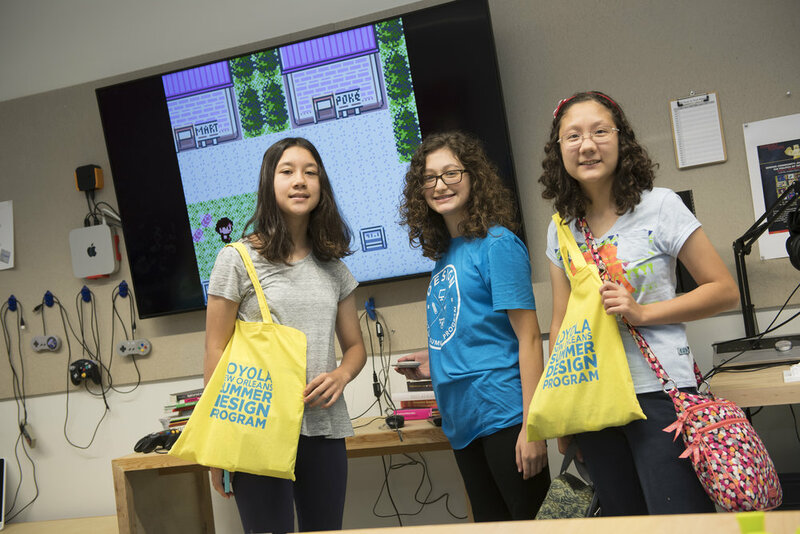 Students who choose Interactive design will learn coding basics, the fundamentals of game design, as well as designing an object that they will 3D print themselves! If you have ever wanted to play a game that you built or find out the magic behind 3D printing, this is the right path for you. Students who choose the graphic design path will spend the week exploring typography, Adobe Photoshop and Illustrator basics, motion graphics, and character design. If you’re obsessed with type, graphics, and visual storytelling, join us for an awesome week.